It was our last Die Cast, Model Soldiers and Toys Auction of the year with over 290 lots on offer for keen bidders. We began with the named toys and this unusual Cien Ge Toys Co. (Taiwan) battery operated Batmobile which realised £224. 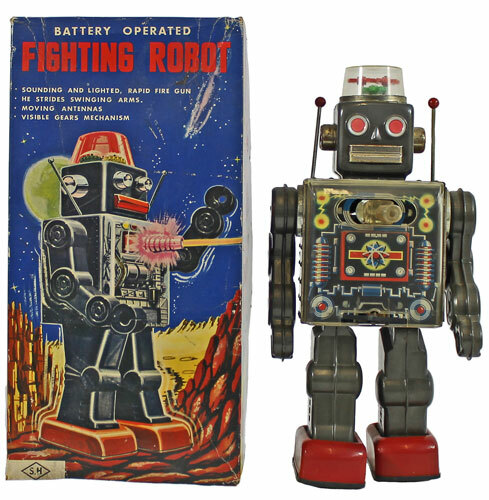 And this interesting SH (Japan) Fighting Robot sold for £165. There was a strong model soldiers section in this sale, the highlight of which was this Taylor and Barrett (or similar) Changing Guard 16 piece set which achieved £271. 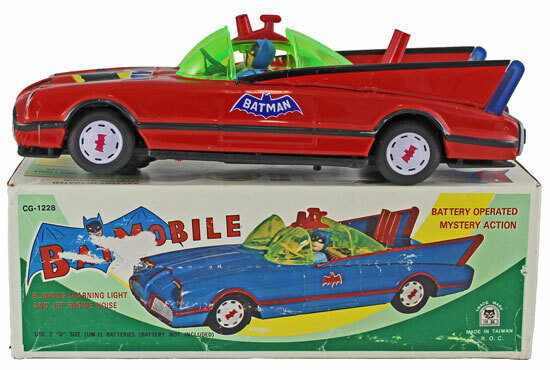 Moving on to the die cast section, this Corgi Batmobile and Batboat Gift Set No. 3 realised £318. 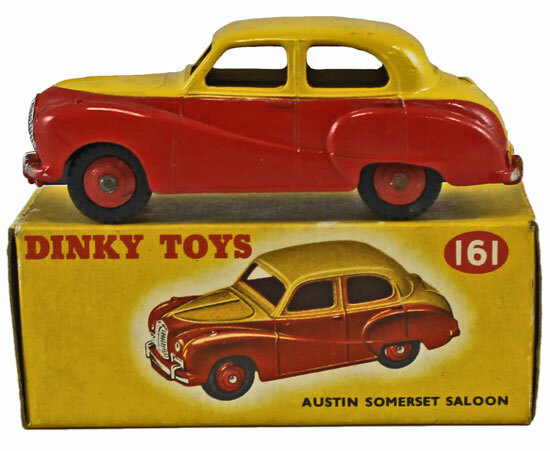 This Dinky Austin (A40) Somerset No. 161 sold for £377. 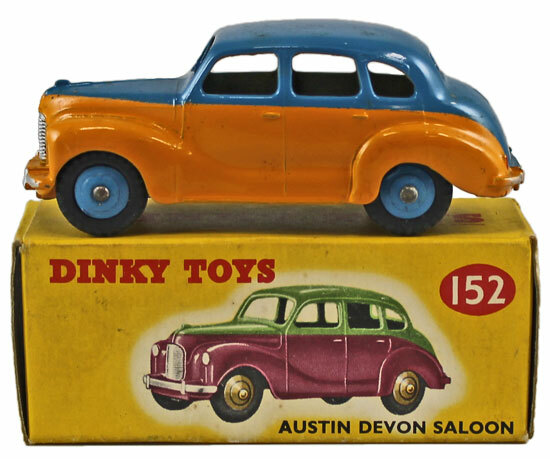 And this Dinky Austin (A40) Devon No. 152 achieved £330. 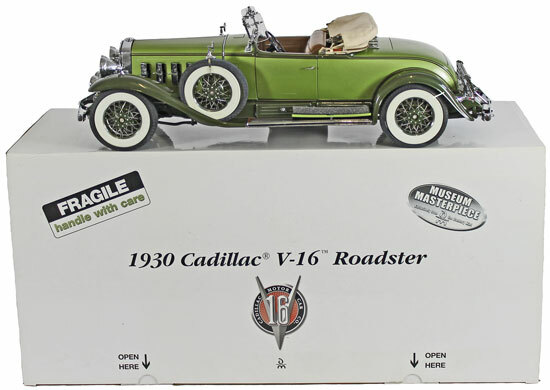 For those interested in the more modern manufacturers there were 7 lots of Danbury Mint models on offer, including this 1:12 scale 1930 Cadillac V-16 Roadster which realised £365. 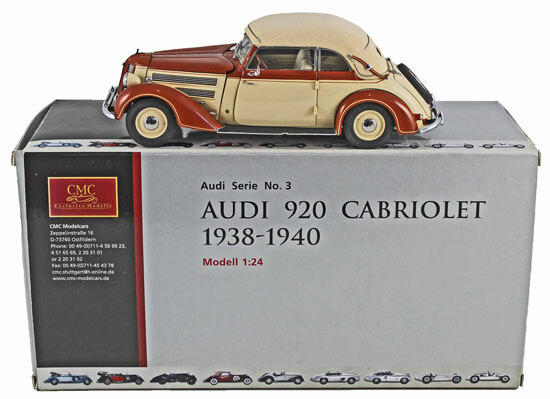 CMC also proved a popular brand with this 1:24 scale Audi Series 3 920 Cabriolet selling for £188. Our next die cast, model soldiers and toys auction will be held on Wednesday 18th January 2017. The full catalogue for this sale will be on our website in the next few weeks or keep an eye on our Twitter and Facebook pages which will include updates of our latest auction news.